Before I read Disciplined Dreaming I was of the firm belief that you were either born creative or you just weren’t. I didn’t realize that creativity could actually be invoked, harnessed, optimized, curated, and ultimately launched into the stratosphere until I read this book. I believe that the title of this book could have been aptly renamed “Disciplined Creativity” because “Dreaming” can sometimes denote something of a loftier and not yet concrete nature, but the author Josh Linkner substantiates and quantifies his observations about creativity with over two hundred interviews that have been distilled into bite-sized morsels of wisdom. This is a brilliant “how-to” and “actionable” book that is best suited for individuals, entrepreneurs, teams, and organizations that want to progress beyond the status quo. Linkner lends a unique and yet complementary perspective as an accomplished jazz musician, successful entrepreneur, and keynote speaker. It’s his unique ability to improvise, create, and articulate a process that resonates and adds a cohesive fluidity throughout the entire book. "The creativity gap is real and it’s getting worse. 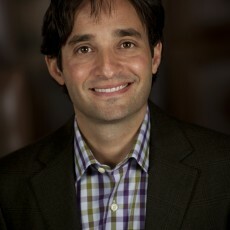 Josh Linkner challenges you to become a disruptive force for change, and I hope you will." Throughout the ages creativity has been the cornerstone for humanity’s progress and it’s as important as breathing fresh air. From the Stone Age, Agricultural Age, Industrial Age to the Information Age, “creativity” has been the gel and secret elixir that has moved us collectively forward. Creativity, simply put, builds our future. “Success in the new era of business is driven by your ability to stand out and be truly remarkable,” explains the author. “That requires an ability to tap into creativity, break the mold, introduce disruptive change, and dislodge the status quo”. "Like all agents of change and creative disrupters, we didn’t win because we executed the old model more efficiently. 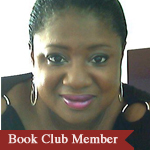 Change agents win because they have the courage and creativity to break the mold." Linkner builds strong correlations for “breaking the mold” where we might not normally find them and each chapter is effectively strung together with methods, examples, and exercises to solidify and “build our creative chops”. Funny thing is that most companies dismiss “creativity” as a legitimate business skill and yet, historically, it has been the only way businesses have ever advanced. A personal example of “breaking the mold” is when I had pitched an idea to the president of the investment firm that I worked with to provide an Accredited Broker Education Program. She not only loved the idea but quickly put it into action and it completely revolutionized the industry and changed the perception of our company in the broker community as being an “educator and service provider”. I’m happy to say that the program is still in place more than twenty years later. Why not schedule time in your calendar just to think of alternative and creative ways to make necessary changes? Creative thinking is a discipline and skill, and it requires practice in order to sharpen and perfect it. "In today’s Age of Creativity, your key challenge is to unleash creative ideas from your team in order to drive meaningful business performance. That makes building a creative culture one of your primary jobs as a leader in the new era of business." Building a creative culture can be a real challenge, especially if the “status quo” has been imbedded into the culture for a long time. So the shift from the old archaic way to the new creative way will call for being intentional, empowering your team, promoting autonomy, encouraging your team to take risks, and giving them license to “fail and learn”. Some very good examples of exceptional companies that are succeeding in creative cultures include Virgin, Google, and 37 Signals, and it’s no coincidence that they are all thriving. Josh Linker’s Disciplined Dreaming is chock full of constructive ways to get your brain, team, and business moving in the creative direction. In closing, this book will also prove very useful to those involved in the process of mind mapping, brainstorming, re-engineering, strategic planning or anyone who wants to be the catalyst for change in a conventional setting. One indelible feeling that I was left with after reading Disciplined Dreaming was optimism and confidence that there are great things to look forward to that have yet to be created and discovered. How will creativity change your future?